American parent perspectives on quality of life in pediatric cochlear implant recipients. Cochlear Implantation Among Deaf Children With Additional Disabilities: Parental Perceptions of Benefits, Challenges, and Service Provision. Deaf Parents of Cochlear-Implanted Children: Beliefs on Bimodal Bilingualism. Parent report of the development of auditory skills in infants and toddlers who use hearing AIDS. VOICES FROM AG BELL. Exploring the Psychosocial Aspects of Hearing Loss: A Parent’s Perspective. TIPS FOR PARENTS. Game On! Playing Sports with Cochlear Implants and Hearing Aids. Development of Joint Engagement in Young Deaf and Hearing Children: Effects of Chronological Age and Language Skills. Health-related quality of life in children and adolescents with cochlear implants: self and proxy reports. Sensory Integration Functions of Children With Cochlear Implants. MEET MEREDITH SUGAR: PARENT, VOLUNTEER & ATTORNEY. TIPS FOR PARENTS. Just Breaths: Tips for Parents from a Mother and a Registered Nurse. Executive Functioning Skills in Preschool-Age Children With Cochlear Implants. It Is Not Just Stress: Parent Personality in Raising a Deaf Child. Exploring the Discourse on Communication Modality After Cochlear Implantation: A Foucauldian Analysis of Parents’ Narratives. From One Parent to Another: An Open Letter to Parents. TIPS FOR PARENTS. On Being a Deaf Mom. Longer-term functional outcomes and everyday listening performance for young children through to young adults using bilateral implants. Parenting Stress in Parents of Children With Cochlear Implants: Relationships Among Parent Stress, Child Language, and Unilateral Versus Bilateral Implants. A Parent, Seizing the Opportunity of the AG Bell Convention. Dealing with moral dilemma raised by adaptive preferences in health technology assessment: The example of growth hormones and bilateral cochlear implants. Sequential Bimodal Bilingual Acquisition: Mediation Using a Cochlear Implant as a Tool. Cochlear implantation for a child with cochlear nerve deficiency: Parental perspectives explored through narrative. Linguistic and pragmatic skills in toddlers with cochlear implant. A Team Approach for the Transition to Middle School and Beyond for a Young Man Who Is Deafblind and Gifted. Tone, Rhythm, and Timbre Perception in School-Age Children Using Cochlear Implants and Hearing Aids. Pediatric cochlear implantation: expanding applications and outcomes. Age-dependent cost-utility of pediatric cochlear implantation. Up Front on the Back Page. Catherine Leutke. Parental stress in raising mandarin-speaking children with cochlear implants. An Open Letter to Parents. Parents Who Have Been There: Strategies, Experiences, and Reflections. What’s New and Notable in Hearing Aids: A Friendly Guide for Parents and Hearing Aid Wearers. Project ASPIRE: Cultivating Rich Early Language Environments for All Children. Outcomes That Matter for Children With Severe Multiple Disabilities who use Cochlear Implants: The First Step in an Instrument Development Process. Age or Experience? The Influence of Age at Implantation and Social and Linguistic Environment on Language Development in Children With Cochlear Implants. Evaluating benefits of cochlear implantation in deaf children with additional disabilities. TIPS FOR PARENTS. The Geese Can Eat It. Outcomes of cochlear implantation in deaf children of deaf parents: comparative study. Predictors of spoken language development following pediatric cochlear implantation. First Information Parents Receive After UNHS Detection of Their Baby’s Hearing Loss. Parents and Researchers Advocate for Early Bilateral Cochlear Implantation. Parents of deaf children with cochlear implants: a study of technology and community. 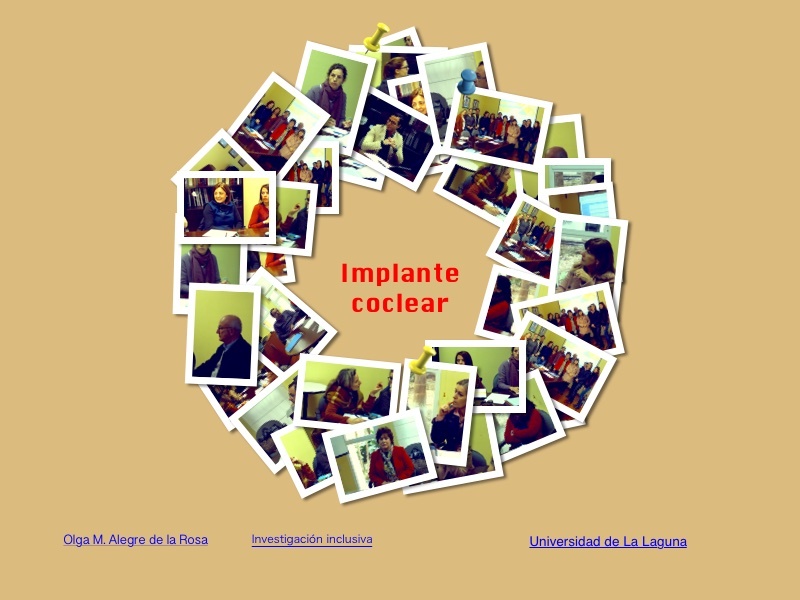 Deaf Education: The Impact of Cochlear Implantation? Deaf Children with Complex Needs: Parental Experience of Access to Cochlear Implants and Ongoing Support. College Experience for Young Adults with Hearing Loss. Perceptions of parents and speech and language therapists on the effects of paediatric cochlear implantation and habilitation and education following it. FAMILY COUNSELING IN THE NETHERLANDS FOR TURKISH-ORIGIN PARENTS OF DEAF CHILDREN WITH A COCHLEAR IMPLANT.